You are not misreading that headline. 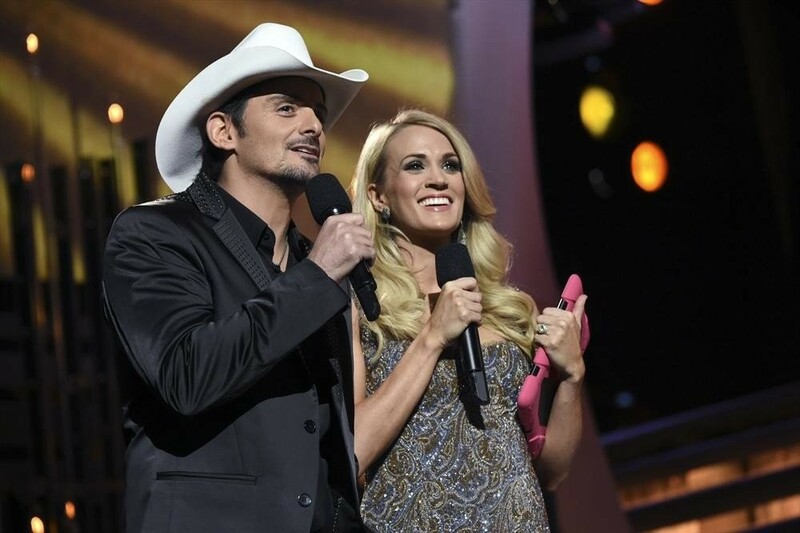 Somehow, in the midst of hosting The 48th Annual CMA Awards LIVE on ABC, Carrie Underwood—who is expecting her first child with husband Mike Fisher—managed to wear more than EIGHT different outfits throughout the show. How she managed all of those wardrobe changes is probably some sort of Nashville miracle, but we're certainly thankful for the effort, because it gave us a ton of great styles to drool over. And did I mention she also performed? Talk about a busy night for the mom-to-be! Carrie started the evening off with some red carpet fashion, but before long she'd be heading for her first wardrobe change of the night. 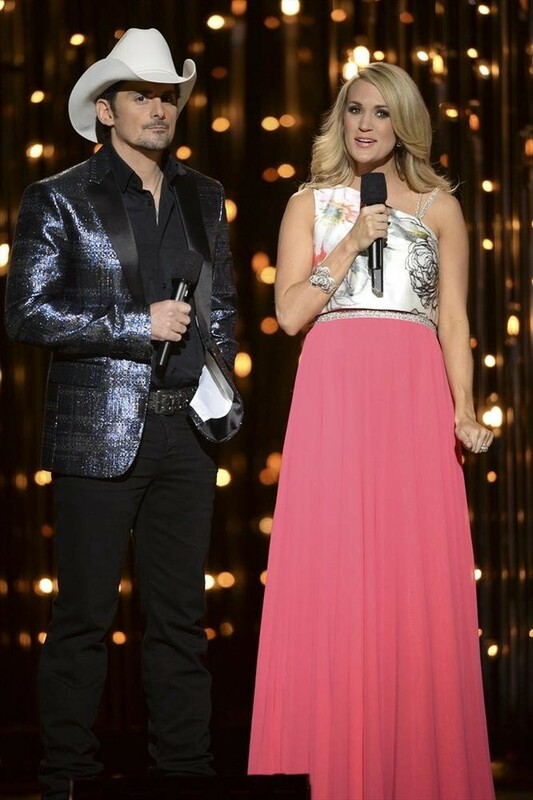 Here's Carrie kicking off the night with her co-host Brad Paisley. It wasn't long before Carrie showed off this sparkling short dress. Carrie changed into this flowing gown for her live performance. More fun with Brad and another new outfit. 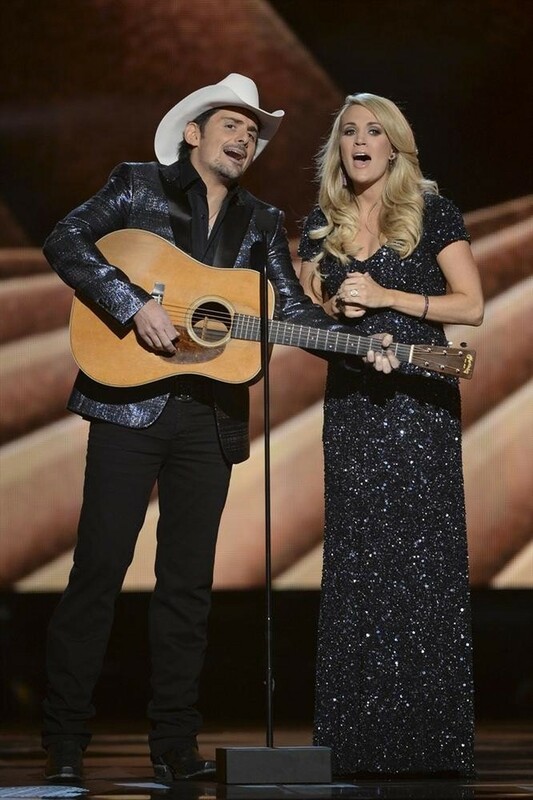 Carrie went dark and sparkly as she and Brad serenaded the legendary Vince Gill. There's nothing to be blue about with this snug dress. 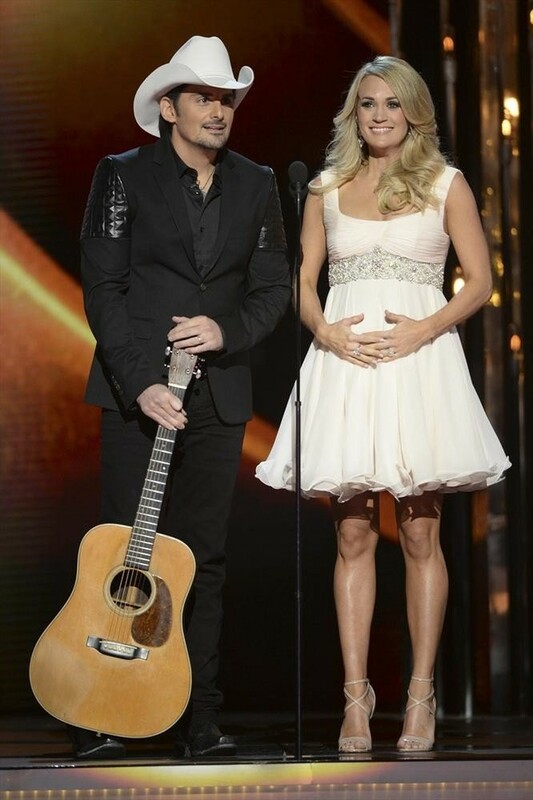 Finally, Carrie closed out the night with a splash of pink.